Serve instant quotes for uploaded STL and SLC files. Customers can check-out orders and pay online. Files are streamed to a folder on your local computer. 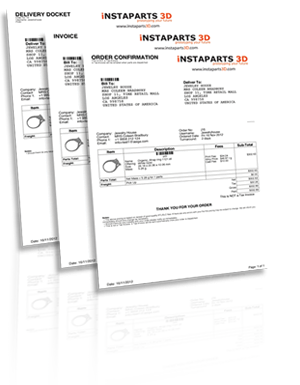 Commercial documents with thumbnail images and barcodes are automatically generated. 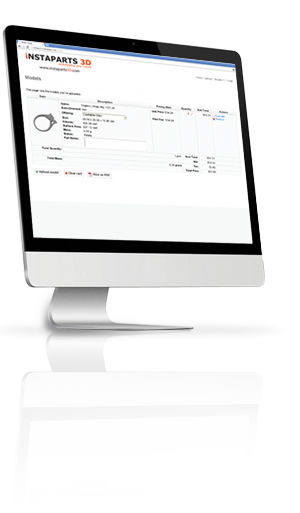 Powerful part tracking and management tools streamline production. 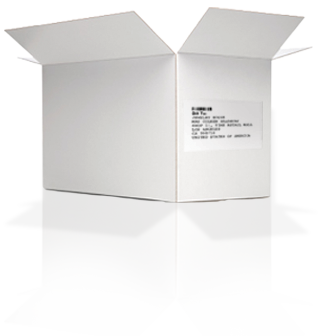 Shipping labels and air waybills are automatically generated using real-time calculators. Customers are emailed tracking details on dispatch.